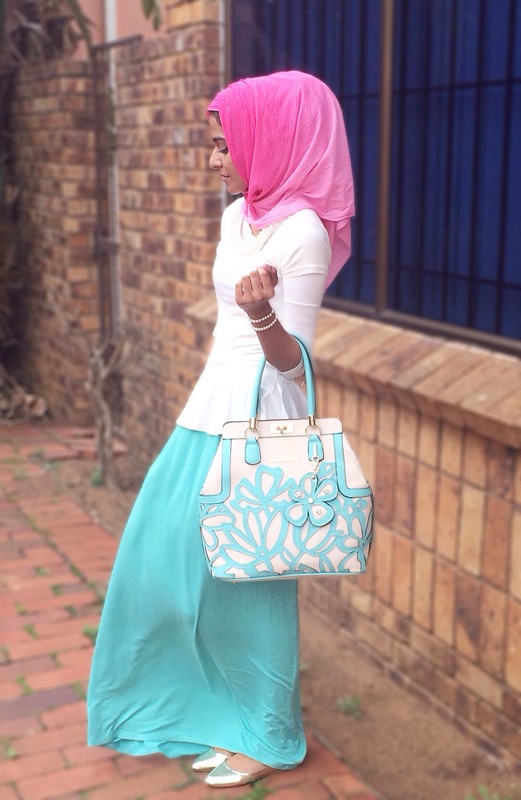 Maxi skirts, just like your fav pair of skinnies, are so easy to wear and that’s what makes them a favorite of mine. You can pair a plain/printed maxi skirt with a chiffon shirt, a cardi or even a sweater – it’s so versatile and such a great investment! 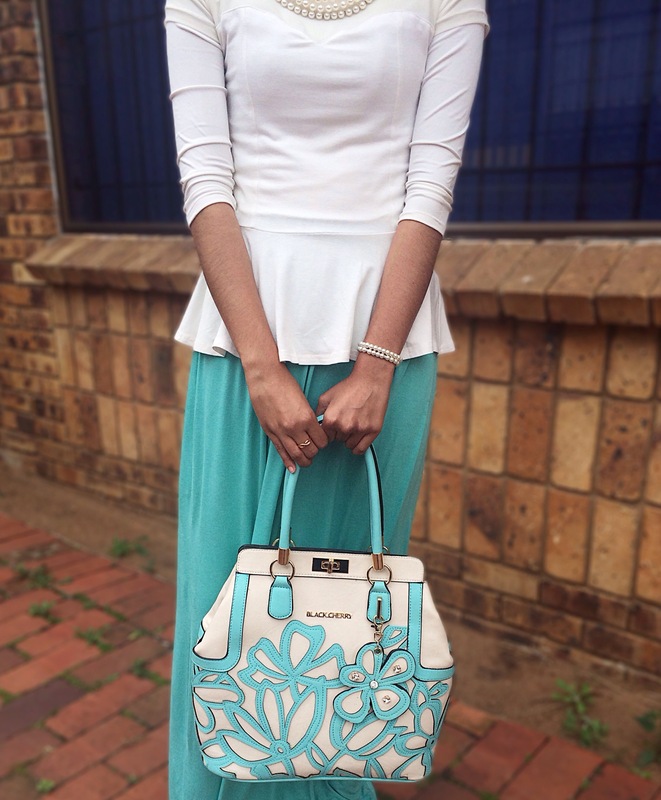 For this look, I paired this mint/turquoise maxi skirt with this peplum top with stunning pearl detail. I purchased this pearl peplum top last year or so and it has quickly become one of my treasured pieces – you don’t find tops like this one everyday! 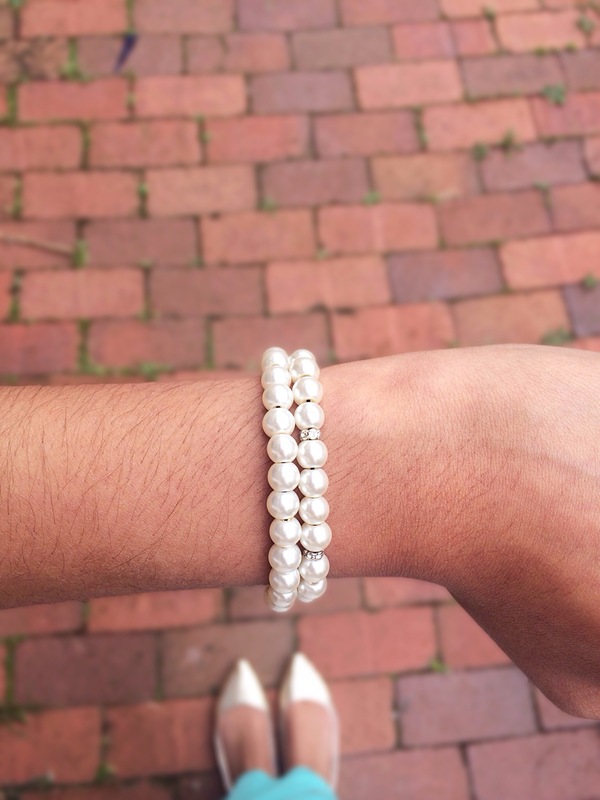 For my accessories, I opted for 2 pearl bracelets that I made myself (YAY! 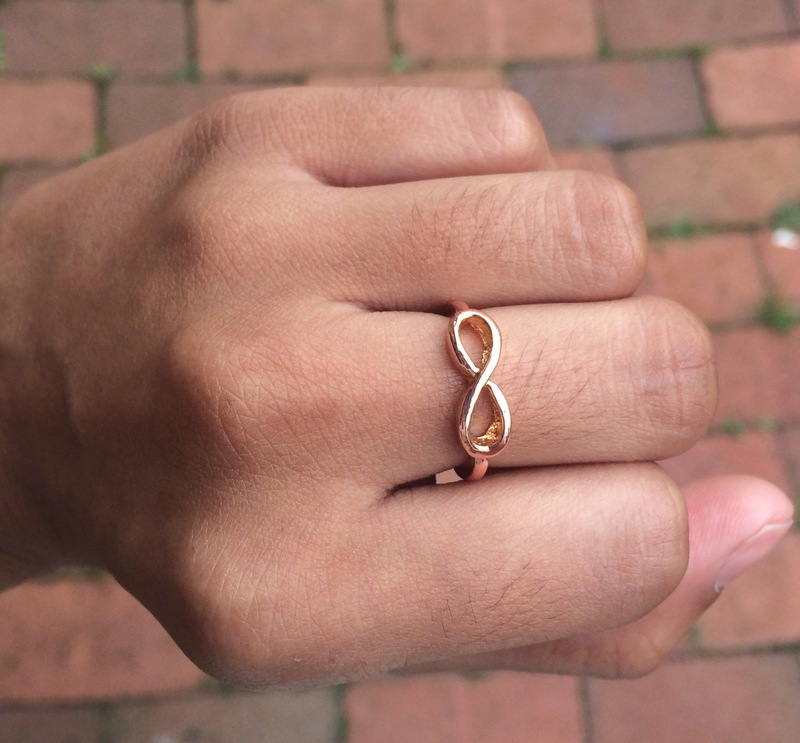 for DIYs), an infinity ring and a two-toned pink scarf that I pinched from my mom. 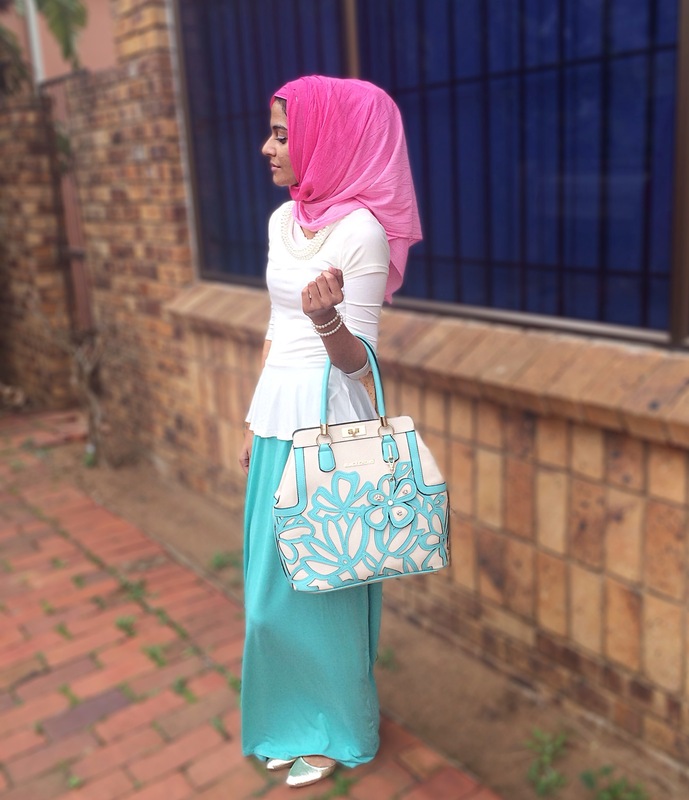 I opted for the pink scarf because I felt the look needed a pop of colour and the pink worked perfectly! 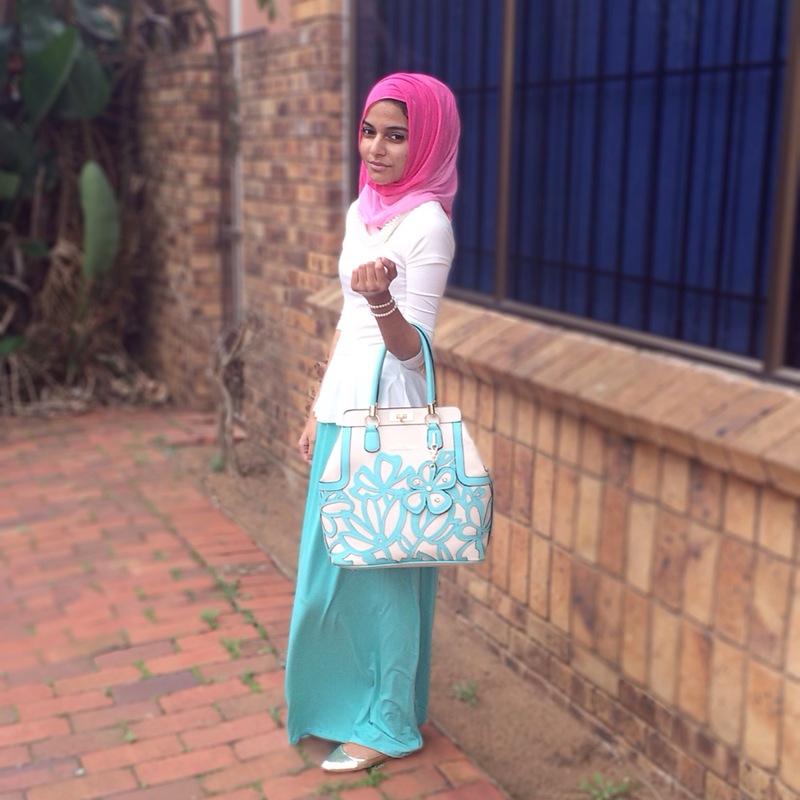 The beautiful cutout bag is from Blackcherry and is, by far, one of my favourite designs from Blackcherry. 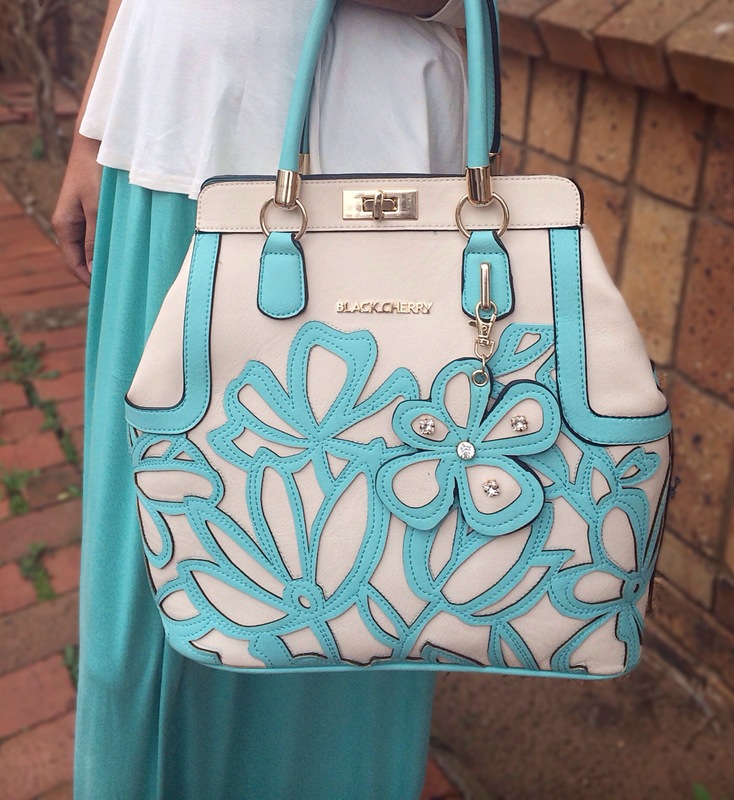 It fits all the necessities (and more) and looks so chic – and that’s basically what every girl looks for in a bag! 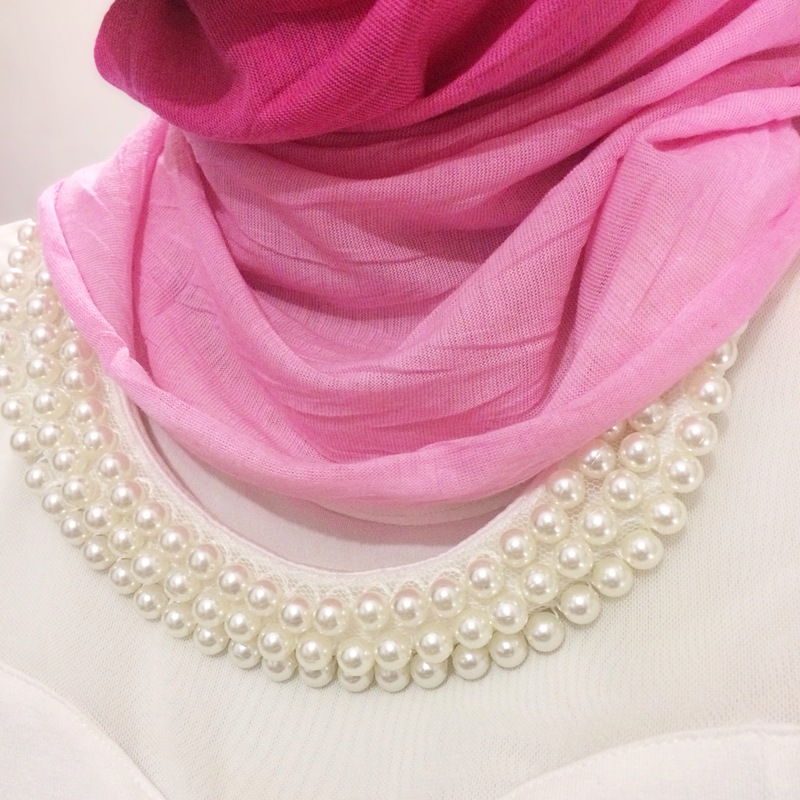 The pearl detail on both the top and accessories and the girly-ness of the maxi skirt makes this look perfect for a special occasion or lunch or dinner at a fancy restaurant – it has just the right amount of glam, not too much but not too little!